Summer Trade Show Season: Recap — Breathless Paper Co. Here at Breathless Paper Co. (and for so many other wholesale makers) the past few months have been trade show season! Our reps have helped represent us at shows in Seattle, Los Angeles and Las Vegas. It’s a high-energy, high-stakes time for us, but we’re so happy with the love we’ve received from the Breathless Paper Co. retailer family, as well as our new buyers! We've retired some of our oldies, and added all kinds of new designs to our repertoire. Keep reading for a look at how our shows went, and a peek at some of the new stuff we featured. The season began out in the northwest with the Seattle Gift Show, followed by our hometown show in Atlanta in July, then heading to LA and ending strong in Las Vegas with our reps in the Grace by Catherine Sullivan Showroom. Trade shows mean developing new lines of cards and products, retiring some of our older cards, acquiring all kinds of new retail accounts, and filling new orders for our most loyal retailers. Our shipping process always gets busy during the trade show season. This year we added red cocktail napkins for holiday, and they sold big! 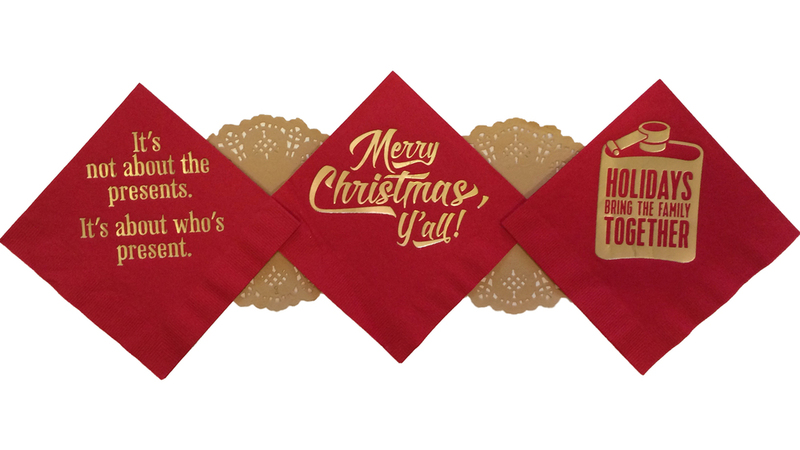 Check out the new cocktail napkins and holiday cards below (also featured in our "Christmas in July" post last month). We were eager to show off our new holiday designs and our seasonal aesthetic, and we think the show-goers loved it just as much as we do! The Atlanta Gift Show is one of our favorites, and we participate in both January and July, always in our booth in the High Design section of the AmericasMart downtown. Our booth is shared by other loved brands that are a part of Deep South Social. We featured the holiday line as well as new Lantern Press licensed products, our new boxed set line and new greeting cards for each of our lines. Check out some of our favorites below! Our "Amazeballs" card is one of the most colorful, expressive additions to our Mini Breath line. The design is simple and striking, and who doesn't giggle at the word "Amazeballs"? The photos below show just a few of our licensed Lantern Press products: Ceramic coasters, pint glasses and mugs. 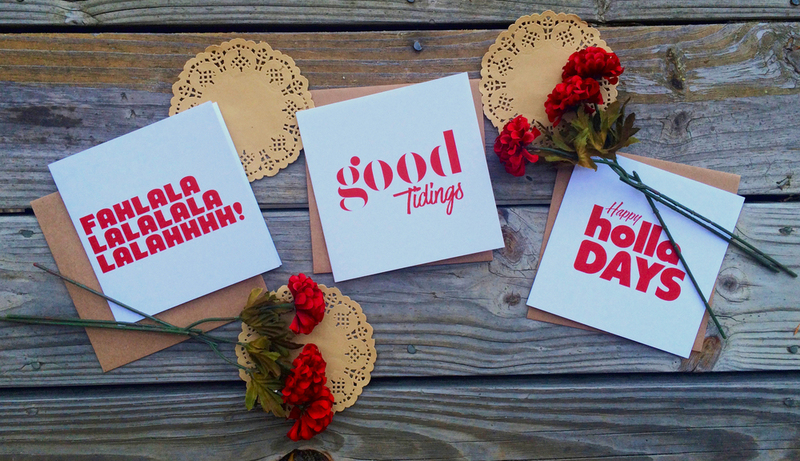 We love getting to show a new side of Breathless Paper Co. with these products -- thanks, Lantern Press! Our last two shows in LA and Las Vegas were successful thanks to help from our reps and the Grace by Catherine Sullivan showroom. Thanks to Grace by Catherine Sullivan and REStyleSOURCE for the great snapshots of the showroom seen below! As summer nears its end and we look back on our cross-country trade shows, we're humbled by the support from our long-time retailers and the new orders we've gotten from incredible retailers near and far. Stay alert for new posts from us, including a closer look at our boxed set line, our Lantern Press products, retailers, and more. Want to see more new stuff? Feel free to reach out to us for a Fall 2016 catalog! Posted on August 25, 2016 by matthew berinato.